The Internet is an integral part of our lives. By connecting the Internet through computers and mobile devices, one can easily access the Internet for the latest information, entertainment, online shopping and services, or interacting with friends and families. Everyone, including people with or without disabilities, has the right to access the internet at the convenience at their fingertips. To enterprises and organisations, an accessible Internet not only helps business development but also contributes to building an inclusive society. The new round of the "Web Accessibility Recognition Scheme" is organised by Hong Kong Internet Registration Corporation Limited (HKIRC) in 2018. The scheme is co-organised by the Office of Government Chief Information Officer (OGCIO) while the Equal Opportunities Commission (EOC) serves as the independent advisor. The previous four rounds (2013-2016) of Web Accessibility Recognition Scheme (Scheme) were jointly organised by the OGCIO and the EOC. 2 streams are open for application: Website Stream and Mobile App Stream. Successful entrants will be awarded and recognised according to the accessibility level. The scheme also includes awards and recognitions for website or mobile app developers. 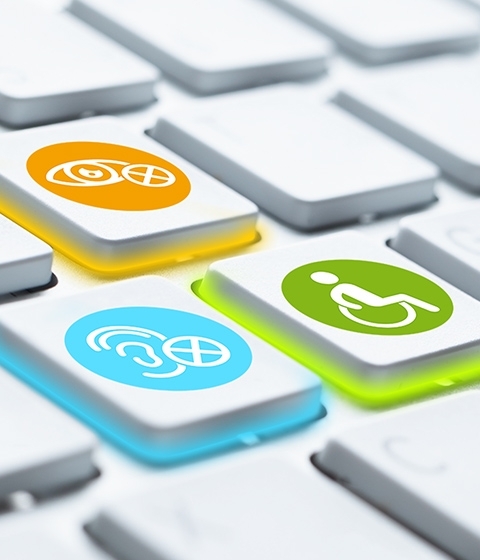 Awarded or recognised enterprises and organisations can put the respective logos on their website to show their support for the Web Accessibility Recognition Scheme. For information on application procedures, please refer to the APPLICATION. Hong Kong Internet Registration Corporation Limited (HKIRC) is a non-profit-making and non-statutory corporation designated by the HKSAR Government to administer the registration of Internet domain names under .hk and .香港 country-code top level domains. HKIRC is a non-profit-distributing organisation that is committed to providing, and supervising the provision by others of .hk and .香港 Internet domain name registration, resolution and related services in an uninterrupted, effective, customer-centric and sustainable manner.